Check out our up front pricing. We specialize in personal mechanical services. Velo Wrench Bike Shop offers replacement parts for most any bike from a $20K race machine to a $5.00 garage sale special. We even offer a discount on pre-paid special orders. The newest service we provide is a complete custom build. We work with you to find the perfect machine for you. We will perform a custom build and set up the bike with your wishes in mind not what the shop has in stock. Our experts will find and build you the bike of your dreams. You will receive a personal fitting and check ride. We don’t want you to like your new machine we want you to love it. This fit is designed to get you on the bike and feeling good. It is a basic fitting and will last only about 30-45 min. Most of this set up is done with visual clues. You will need to be prepared to ride. 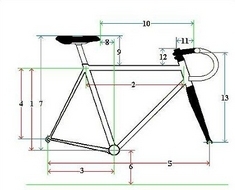 This fit can also be used to fit you to the correct bike prior to ordering a frame. If you buy the bike from us this fitting will be reimbursed to you. So, before you spend all that money on a new bike that may not fit you even if you don’t buy the bike from us this is a good idea. This is a complete fit based on your riding style and riding discipline. This fit will last up to 2 hours and will require you to ride several strenuous trainer sessions. You will be fit to the bike and components on the bike. 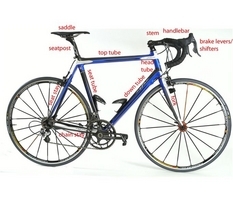 (Suggestions will be made such as crank length, stem, etc.) Cleat wedge and pedal adjustments are included. This fit can take several sessions to complete. You will also get up to two micro adjustments within the first six months at no additional fee. This system is designed to fit your feet to the bike and pedal system you have. You will have your foot positioned onto the pedal and wedged installed to create the least amount of knee movement possible. 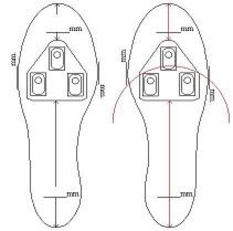 This fit includes one set of wedges – additional fees will be applied for additional wedges. You will also receive up to one spacer per pedal if required (included). This fitting is done primarily on the bike and will require 30-45 min to complete.